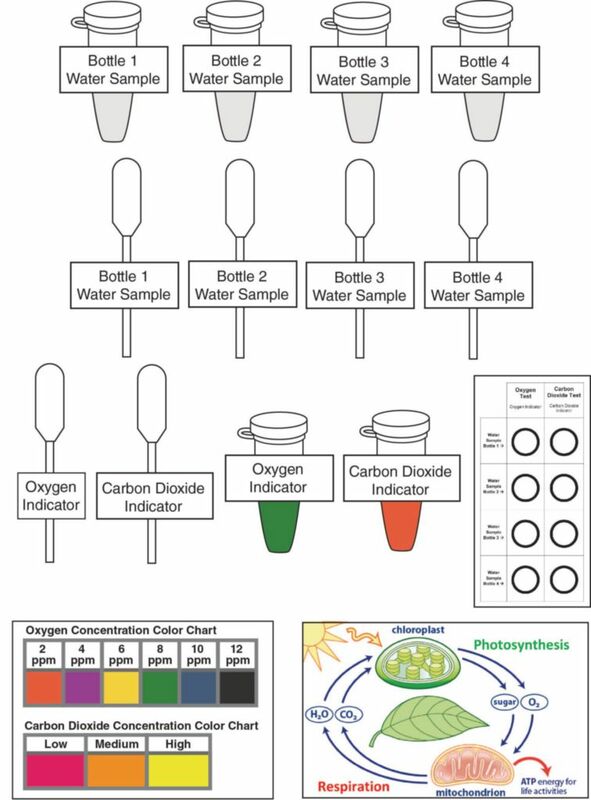 Conduct simulated oxygen and carbon dioxide tests to investigate the amounts of oxygen produced and used by aquatic plants under various environmental conditions. Test simulated water samples from bottles that contained plants exposed to different light levels. 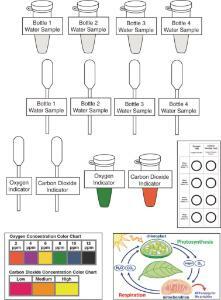 Collect and analyze data from a controlled experiment to determine how photosynthesis and cellular respiration affect the oxygen concentration. This complete experiment setup contains all materials and does not require lab equipment.